We hear blockchains mentioned all the time, but very few people know what they actually are, how they work, and what effect they may have. The paper “Corporate Governance and Blockchains”, by David Yermack of NYU Stern and published in the Review of Finance, is an excellent “go to” reference that answers these questions in a clear and non-technical manner. The following is a very incomplete overview; I strongly recommend the full paper. Cost. Records can be updated electronically, saving the costs of lawyers changing land titles, or of casting and counting votes. Speed. Records can be updated almost immediately. In contrast, a company’s accounts may be updated only annually; votes take time to be counted. Data Integrity. Land records can be falsified, corporate income statements can be manipulated, and option grants can be backdated. Data on the blockchain is indelible. A block is a bundle of records. For example, a Bitcoin block contains all the Bitcoin transactions that take place in a 10-minute interval (Tx_Root in the above diagram); the record for each transaction contains the sender, the recipient, the amount of Bitcoins transferred, and the time. The timestamp records when the block is created. A blockchain is a series of blocks chained together by a hash function. A hash function is cryptography that transforms data into a hexidecimal code that cannot be inverted to recover the original input. The header of block 12 contains a hash function reflecting the contents of block 11, whose header contains a hash function reflecting the contents of block 10, and so on. As a result, it is impossible to forge a prior block, since this would cause changes in the hashes of all subsequent blocks and be easily noticeable. Someone wishing to forge old transactions would have to find valid hashes for all subsequent block headers. A public/open blockchain can be updated by any market participant – there is no central authority (unlike the Land Registry for land titles). 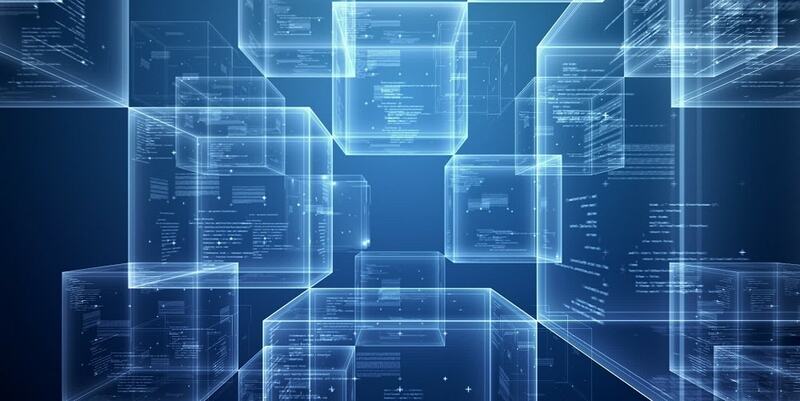 To create block 13, a participant must bundle data from new transactions (not included in any prior blocks) together with the hash code of block 12, the timestamp, and a nonce. A nonce is a random number which, combined with the other information in a block, generates a new hash. To be valid, the hash must be below a certain critical value, i.e. have a certain number of leading zeroes. A participant searches, by trial-and-error, for a nonce that will generate the required hash for block 13. Once the first participant has succeeded, other network members verify and acknowledge that block 13 is complete, and then begin working on block 14. The winning participant is awarded 12.5 Bitcoins (in the Bitcoin blockchain); thus, would-be participants are known as miners. This reward encourages miners to work on bundling together new transactions and creating the next block – it is effectively a fee for providing bookkeeping services. Miners can encode whatever transactions they want into their next block attempt; no two miners will select the same set. Agents seeking fast verification of transactions can pay voluntary user fees to miners who successfully include their transactions in the next block. The paper also describes private and permissioned blockchains, where the updating is done by a party or a group of parties. The governance of such blockchains is a whole interesting issue in itself, which the paper also addresses. How Will It Affect the Real World? Most interesting is the paper’s discussion of the potentially transformative impact of blockchains. Greater Transparency of Ownership. Share records will be immediately observable to everyone. Currently in the US, 13F filings of an institutional investor’s positions are only made once a quarter. In addition, there are three different shareholder lists (company, exchange, proxy voting); firms often do not know who their own shareholders are. Transparency may make it difficult for investors to acquire a block without moving the price, exacerbating the Grossman and Hart (1980) free-rider problem (Kyle and Vila (1991)). Transparency may hinder insider trading, in turn encouraging outsiders to gather information (Fishman and Hagerty (1992), Bushman, Piotoski, and Smith (2005)). It would make impossible backdating of option awards or any other financial transactions. Greater Liquidity. Securities trades can be executed and settled much faster and more cheaply. Currently in the US, settlement takes three days and involves many parties. This can benefit ordinary people, not just activist shareholders. Currently, sending money from Zurich to New York costs 7% and takes 3 days. Voting. Blockchains can be used to record votes in corporate elections. This should improve accuracy and address the concern that most close votes are won by management, perhaps due to manipulation. It will also make empty voting (modelled by Brav and Mathews (2011), studied empirically by Hu and Black (2006) and Christoffersen, Geczy, Musto, and Reed (2007)) harder since stock lending will be transparent. Real-Time Accounting. A firm could post all of its business transactions on a blockchain, allowing anyone to aggregate them into an income statement and balance sheet at any time. This may significantly reduce the need for of auditors, deter accruals earnings management, and deter related party transactions. Smart Contracts. A smart contract is an automatic way to execute a contract: for example, a self-driving car could drive to the bank if the borrower defaults on a car loan. 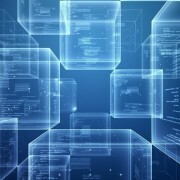 The blockchain can implement smart contracts cheaply, for example changing the title of collateral upon a default, substantially reducing enforcement costs. Finance professors might not be able to write papers in the future about difficulties in seizing collateral! Is This Just A Pipedream? The Australian Securities Exchange announced its intention to redesign its clearing and settlement systems using blockchain technology, and a number of other major stock markets launched exploratory projects. The NASDAQ Estonia Stock Exchange announced a pilot program for blockchain voting in shareholder meetings. Broadridge, a private company that handles vote-counting in most U.S. elections, began a significant research effort into using blockchains in American corporate voting. A US public company, Overstock.com, in November issued equity over a blockchain, registering the shares with the regulatory authorities but bypassing the traditional stock exchanges.